If you're looking for your place under the sun, Arietta is just the boat for you. Set her sails and head to the island of Hvar which boasts an average of 2724 hours of sun per year. Make sure you pack your sunscreen before you set off to claim some of those hours to yourself. Long sunny days are perfect for any activity you can think of - swimming, snorkelling, sunbathing, diving off the bow or just chilling in the shade enjoying a refreshing cold drink under the bimini. 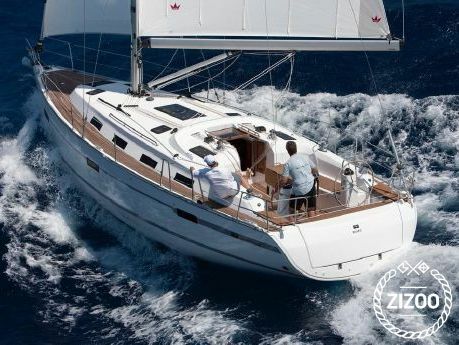 After such a fun-filled day you will need a good night's rest, and this lovely Bavaria 40 built in 2012 provides plenty of space for a comfortable stay. 3 double bed cabins and the saloon sleep up to 8 people, good headroom below deck and spacious kitchen area is perfect for preparing those cold drinks. Adriatic Charter team will be happy to suggest routes in the area, and make sure you have everything you need while island hopping.